Fish must be taken by angling and in accordance with regulations of the state or province where the fish was caught. Fish must meet or exceed the Minimum Length or Weight. Include the location and a description of how the fish was caught. All photographs become the property of NWOAA and may be used for publication on this site. For each species, a total of 4 fish may be entered per calender year. All Anglers who enter and meet the minimum Qualifications will recieve an Awards Cerificate. 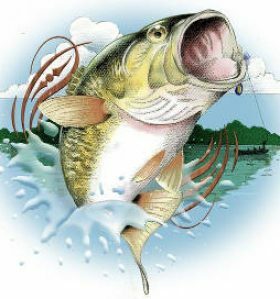 Any Angler who successfully catches 5 or more qualifiing catches will be awarded Master Angler. You may subit your catch by Email using the following format/details: Size (in inches), Location (body of water), Date (date caught) and a description of how the fish was caught along with your photos. Do you have to be a member to apply for these awards are can anyone apply for them? Membership is not necessary to apply for any of these awards. They’re open to anyone from anywhere. How many entrants do you have per year in the program? This is a relatively new program to our club..We had a total of 45 applicants receive awards from us this year and hopefully it will get bigger as time goes and the word spreads.